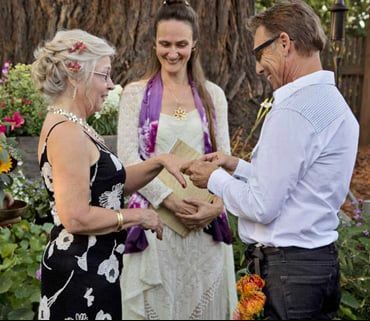 I am blessed to have spent the a lot of time in the last 20 years in ceremony or ministering sacred ceremonies (weddings, anniversaries, separations, births & prayer circles). While living a life personally & professionally to dedicated health, wellness & quality relationships as a Holistic Healthcare Practitioner/Bodyworker & Relationship/Life coach. 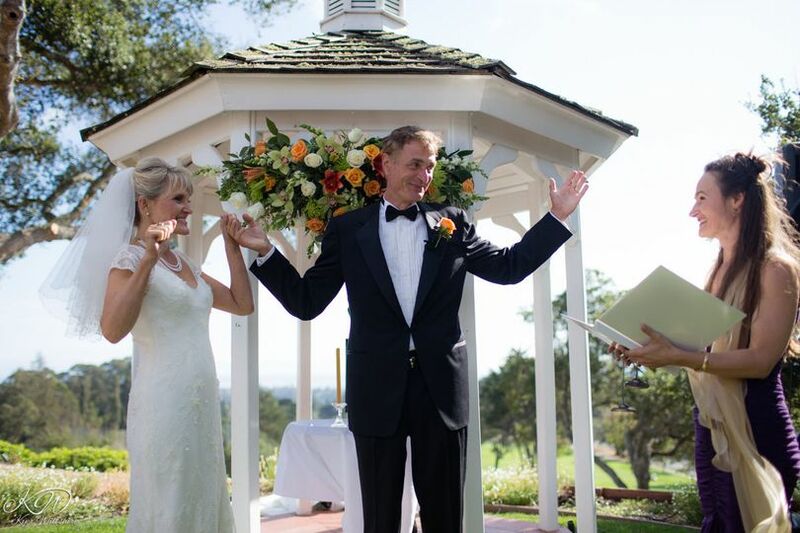 One of the great treasures of my life is my marriage and my beloved husband, Steven. I am grateful we have a shared passion for having & supporting conscious relationships and a natural inclination to honor life ceremoniously. From our Love grew a couples' coaching business offering premarital coaching & "Urgent Care" for couples needing support for a trying time. We see clients for 2 on 2 private sessions, as groups, and for the right clients we do VIP transformational immersion weekends. 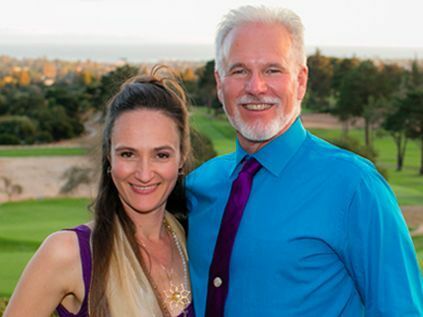 We teach & mentor individuals & couples as they learn tools needed to change painful dynamics, experiment with making different choices to create greater ease, connection & intimacy while learning about themselves & each other. If you're interested in my availability to officiate or us as coaches, please drop me a line. I am, & we are, always excited to explore the possibility of supporting new clients ready to engage in a cycle of learning & healing! 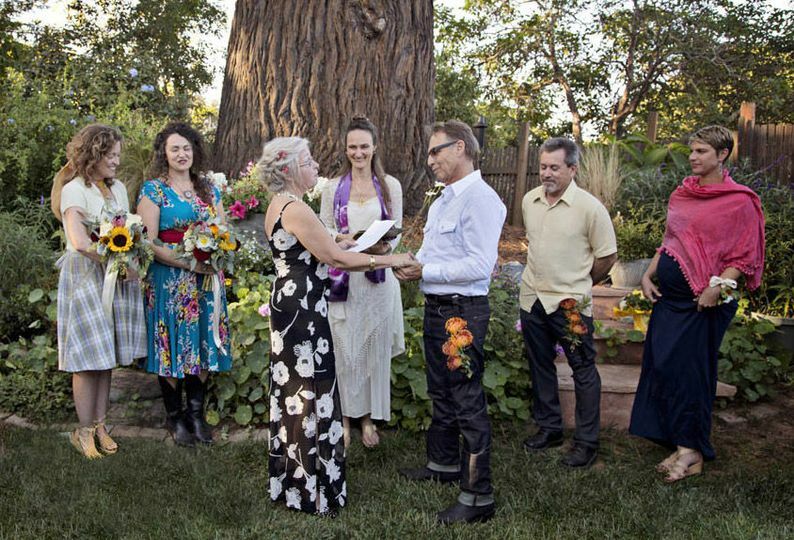 Debra officiated my wedding and truly made it a unique and special event. 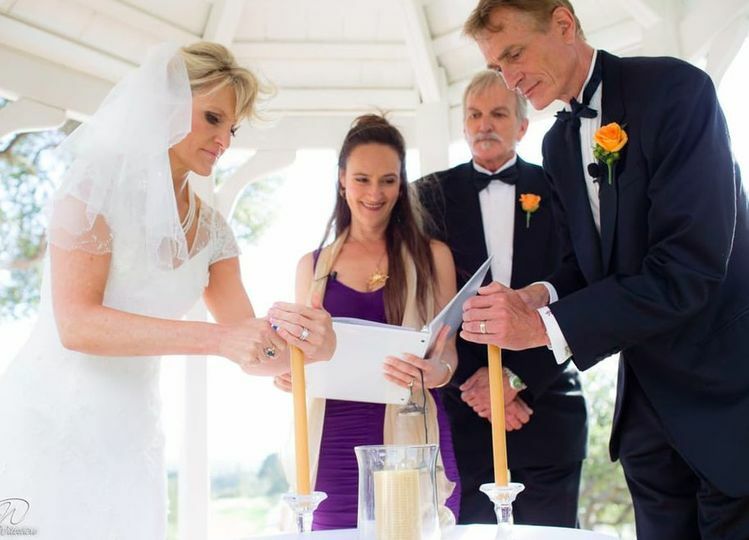 She met with my fiance and I before our wedding so she had a thorough and complete understanding of who we were and what we wanted. 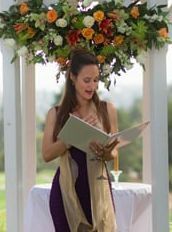 She offered words of wisdom from her vast experience of ceremony and helped us co-create the experience we dreamed of. Her energy and professionalism was the icing on the cake! Debra is an insightful and vibrant goddess of love. 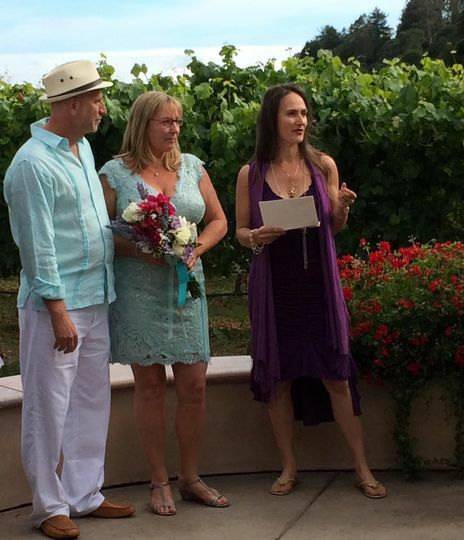 She listened carefully to our ideas of how our ceremony would be, and the meaning we would convey. She added her own loving energy and Magic, and in the end we had a profoundly moving experience for both ourselves and our friends and family. 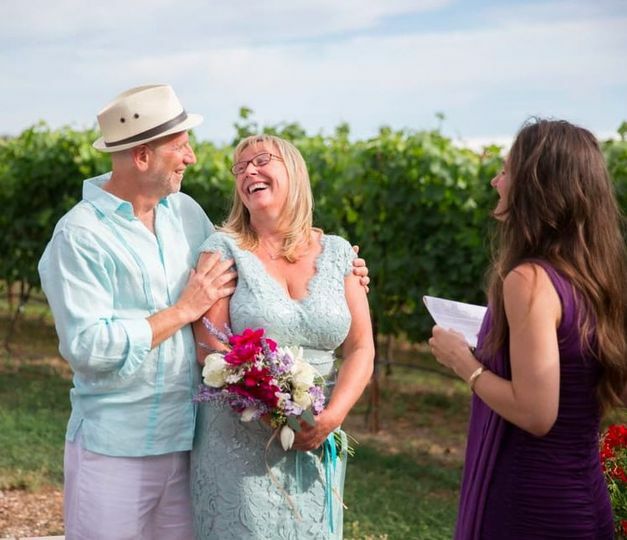 And we want to emphasize that her fun and loving energy permeated and uplifted the entire experience from the first planning session to the kiss. 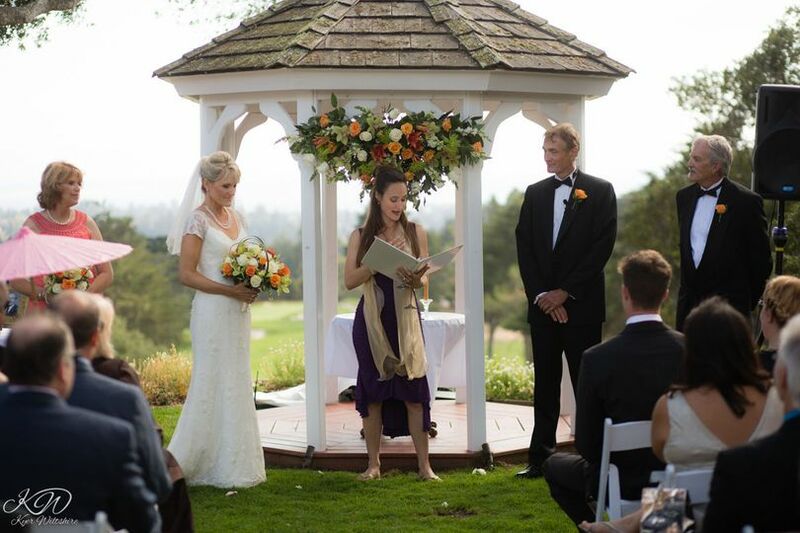 Our relationship was transformed and uplifted as a beautiful and surprising effect of this fabulous ceremony. And finally, Deborah and Steven were pretty darn fun at the party afterwards.